Born in Italy, Violinist, Film Musicologist and Cultural Historian Franco Sciannameo studied in Rome at the Conservatorio di Musica “Santa Cecilia” (D.M. in Violin Performance, Literature, and Pedagogy), and later at the Accademia Chigiana in Siena and Accademia Nazionale di Santa Cecilia in Rome. He holds advanced degrees in Historical Musicology and Cultural Studies from the University of Pittsburgh. Always concerned with the role of artists in society, Franco Sciannameo writes and lectures extensively on contemporary music and its relation to politics, cinema, and the arts. He has worked with a number of celebrated composers, including Giacinto Scelsi, Nino Rota, Ennio Morricone, Franco Donatoni, and Paul Chihara with whom he collaborated on many performances and recordings. 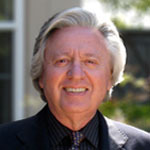 Sciannameo’s articles and essays are featured regularly in The Musical Times (London) while his most recent books include Nino Rota’s The Godfather Trilogy (Scarecrow Film Score Guides, 2010), Phil Trajetta (1777-1854), Patriot, Musician, Immigrant (CMS Monographs and Bibliographies in American Music, 2010) and Ildebrando Pizzetti’s Music for the Film “Scipione l’Africano” (1937): A Metaphor for Mussolini’s Imperial Ambitions (Mellen Press, 2011). Furthermore, Franco Sciannameo is the Artistic Director of ETC-ITALIA, a project sponsored by Carnegie Mellon University’s Entertainment Technology Center, which is dedicated to the realization of Masterpieces by Italian Futurists re-imagined for the digital era. Sciannameo is currently Director of the BXA Intercollege Degree Programs at Carnegie Mellon University.